The Kuala Lumpur Shariah High Court was today informed that the Shariah Appeals Court had on July 14 ruled in favour of Sarawak entrepreneur Mahmud Abu Bekir Taib in the child maintenance claim brought by former wife Shahnaz Abdul Majid against him. The decision was conveyed to Kuala Lumpur Shariah High Court Registrar Nor Faiz Afsal Abu Bakar by Mahmud’s counsel Zainul Rijal Abu Bakar, Saadiah Din and Muhammad Izaan Azalan. Mohd Rafie Mohd Shafie and Akberdin bin Abdul Kader, who act for Shahnaz were, however, not present. The appellate court had last month unanimously ruled that Shahnaz had no locus standi to bring the claim as their son Raden Murya Abdul Taib Mahmud had reached the age of majority on his eighteenth birthday. Born in December 1993, Raden is now 21 years old. The Appellate Court comprising chairman Mahammad Ibrahim, Muhammad Asri Abdullah and Yusof Musa accordingly ruled that the application by Shahnaz on behalf of her son was incompetent and allowed Mahmud’s application to review a previous Syariah High Court order handed down in 2013 which had ruled in Shahnaz’s favour. Shahnaz had sought to claim in excess of RM121 million for child maintenance for Raden, in the form of a terrace house in London (said to be worth RM60 million), a residence in Bukit Tunku (RM10 million), two Aston Martins (RM5.5 million), medical insurance (RM5 million) and a private trust fund (RM40 million) to be held and managed by her. 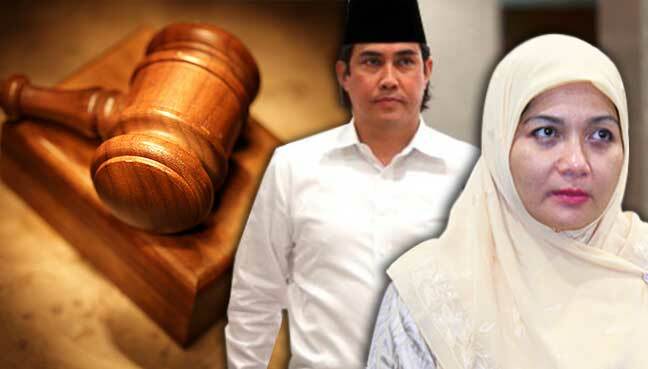 The Appellate Court’s decision effectively nullifies orders previously issued by the High Court which relate to child maintenance, including an ex-parte order obtained by Shahnaz against Mahmud in 2013 to pay interim maintenance of RM902,746 via Shahnaz, and committal proceedings taken out against Mahmud.